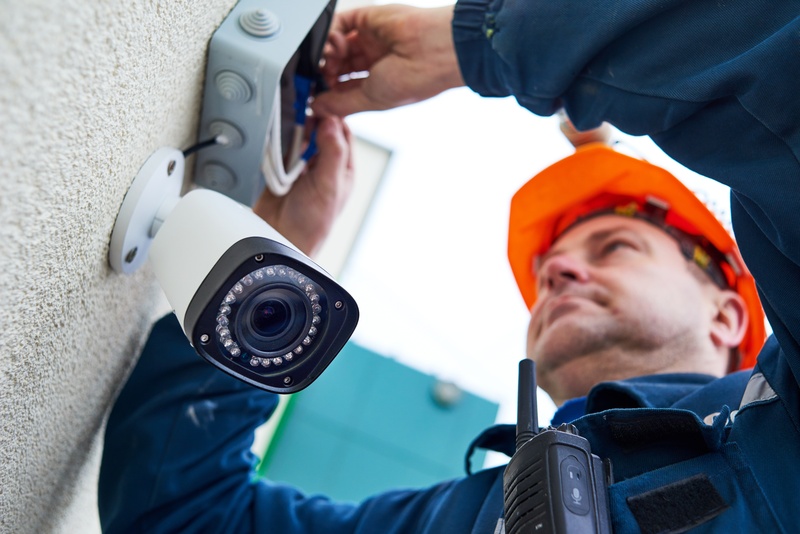 Small and medium businesses (SMBs) are a growing market (and area of opportunity) for security resellers, particularly in video surveillance. And as the versatility of these systems have increased, so have opportunities to make inroads with SMBs looking to improve security and reduce losses. Generally speaking, surveillance systems for SMBs are more straightforward than for larger companies. Yet no matter how many employees or buildings in the application, every successful installation starts with designing the right system for that business. Below are a few tips to ensure success in your next SMB installation. For the SMB owner, every dollar spent – whether for security or stationery – has a direct effect on the owner’s personal income. As a result, SMB owners and corporate customers often think and react differently to similar situations, particularly where system price, practicality, or value is concerned. Though SMBs may be impressed with what you’ve done for larger companies, they’re interested most in what you can do for them. In order to build a relationship with the SMB prospect and formulate a plan, it’s critical to first clearly identify the specific pain points that the SMB prospect wants to resolve. Laying out all security pain points and objectives should be the focus of that first conversation. Once the key goals and challenges have been identified, site surveying can begin. Ideally the survey should be repeated at night to account for different lighting conditions. Other considerations include whether electrical outlets are available, the costs of cabling versus a Wi-Fi solution (e.g., in a historical building), or if a camera is required at an out-of-the-way location. A good practice is to stand in each location where a camera will be installed. This will give a better idea of what the installed camera will see and what lenses may be required – or if multi-sensor panoramic cameras can fit into the design scheme to reduce camera counts and increase coverage area. Consider also if outdoor cameras will be needed – and plan accordingly if so. Although these cameras are designed for outdoor use, they will usually still need weather resistant housings, and possibly a heater to ensure continued functioning in extreme cold. A junction box in combination with the proper wall mount bracket prevents water from running down the wall and into the camera housing. And then there are basic installation condensations such as installing drip loops to prevent water from finding its way into outdoor conduit and components. Because surveillance systems for SMBs usually contain 16 cameras or less, one NVR is generally sufficient for all recording and storage needs. Today’s advanced NVRs also provide some level of camera control, which makes system installation, implementation and operation fairly simple without sacrificing quality. When it comes to the SMB systems’ total cost of ownership (TCO), the biggest factor comes down to camera selection. And camera selection comes down primarily to what makes the most sense given usage and site conditions. E.g., in a small retail environment with controlled lighting, advanced technology such as Wide Dynamic Range (WDR) may not be necessary. Instead, a simpler solution – effective placement and use of 2MP cameras and a fixed lens – will work best. On the other hand, a warehouse will require cameras with WDR and low-light sensitivity to adapt to highly contrasted lighting and changing lighting conditions. The application may also require a more complete range of on-board features such as motion detection, digital zoom, region of interest, area alerts, auto tracking, and so on. Look for surveillance manufacturers that offer multiple cameras in a variety of form factors so you can select the performance and features you need for each specific location, while also containing costs. Regardless of the application’s scale or needs, some best practices always hold true. Some are obvious but often overlooked, such as deploying standards-based cameras and high-quality connectors or observing warranty instructions. And even though today’s IP cameras offer impressive clarity in a range of conditions, capturing images at a full 30 frames per second (fps) significantly adds to the recording quality. Hence, options should be made for motion/alarm detection recording modes to conserve bandwidth and storage space when possible. These and other best practices will affect image and recording performance, and ultimately help ensure the customer is satisfied. No matter the installation, quality support from a reputable video surveillance manufacturer is also an important part of the product selection process. Whether the question is about a product walk-through, installation instructions, a firmware update, or troubleshooting tips, it’s vital to have a manufacturer partner that can be relied on for support. Because every application is different, the formula for success varies as well. But by getting the fundamentals right, resellers can help ensure that each installation goes smoothly – both for themselves and for their end-users.